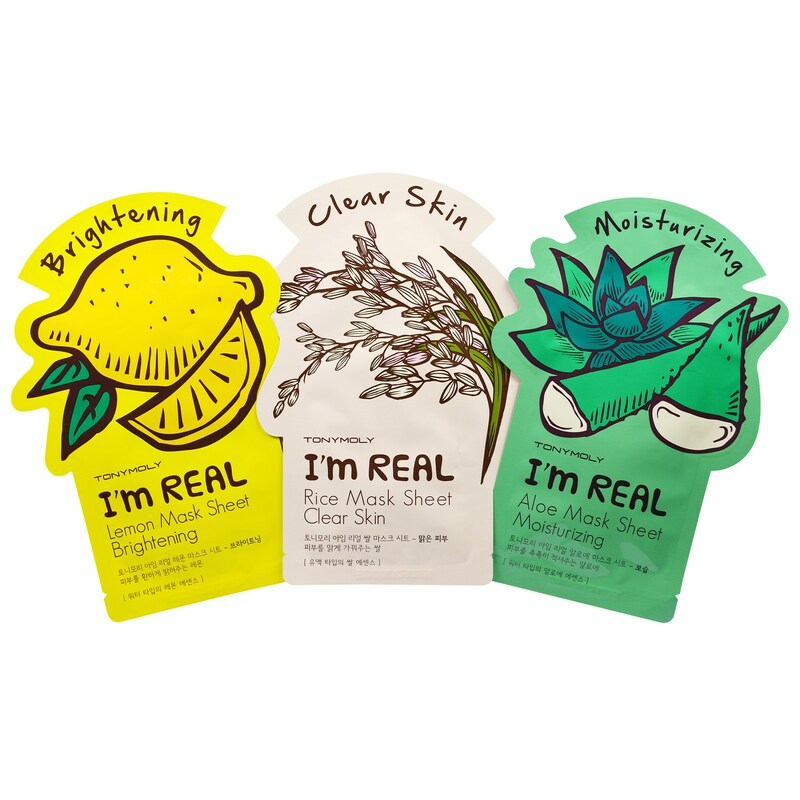 You will receive a variety pack of 3 masks depending on what is in stock at the time of ordering. Masks cannot be exchanged individually. Type of Masks may vary. Lemon mask makes dull and dark skin look radiant. Pomegranate mask firms up skin. Avocado mask makes dull skin look radiant and glowing. Tomato mask makes rough skin look smooth and radiant. 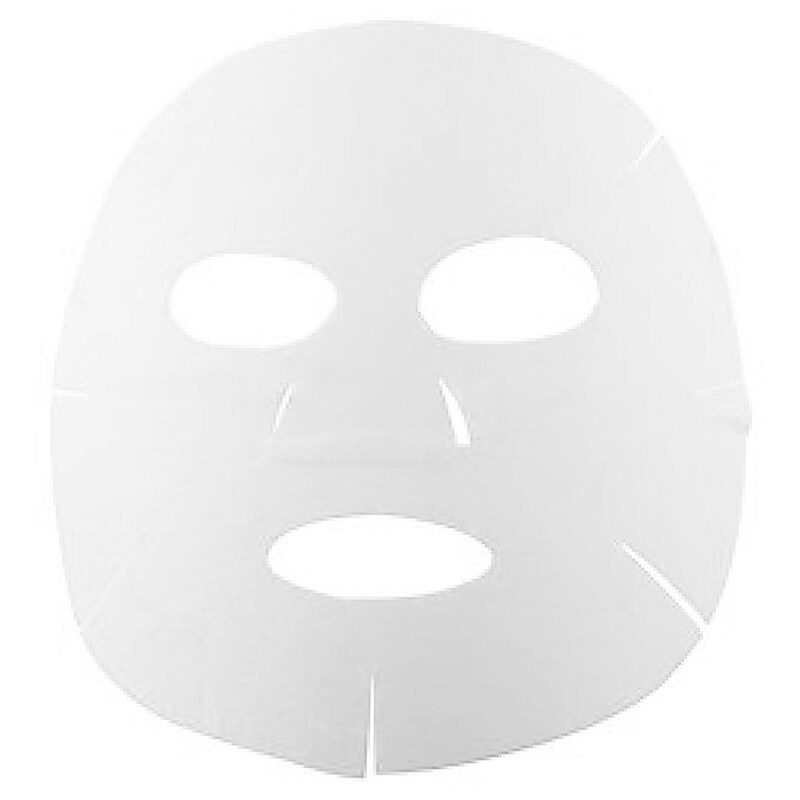 Tea tree mask gets rid of uneven skin tone. Seaweeds mask makes skin look bright and radiant with freshness of the sea. Rice mask makes dull skin look radiant and glowing. Red wine mask tightens uneven skin texture with enlarged pores. Aloe mask moisturizes dry skin. Broccoli mask provides vitalizing energy to tired skin. 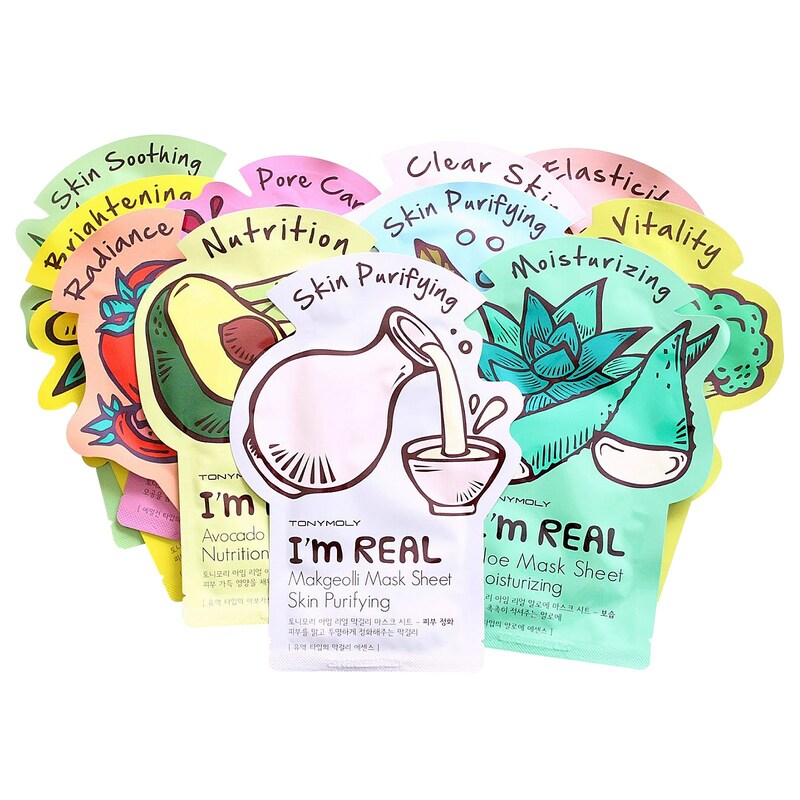 Makgeolli mask makes uneven skin tine look radiant and glowing. Lemon: Water, glycerin, butylene glycol, PEG/PPG-17/6 copolymer, glycereth-26 panthenol, bis-ethoxydiglycol succinate, allantoin, PEG-60 hydrogenated castor oil chlorphenesin, carbomer, phenoxyethanol, tromethamine, citrus limon (lemon), fruit extract, 1,2-hexanediol, propanediol, hydroxyethylcellulose, malpighia emarginata (acerola), fruit extract, glycyrrhiza glabra (licorice) root extract, caprylyl glycol illicium verum (anise) fruit extract, disodium edta, fragrance. Pomegranate: Water, glycerin, butylene glycol, PEG/PPG-17/6 copolymer, glycereth-26, panthenol, bis-ethoxydiglycol succinate, allantoin, PEG-60 hydrogenated castor oil, chlorphenesin, carbomer, phenoxyethanol,tromethamine, hydroxyethylcellulose, punica granatum fruit extract, 1,2-hexanediol, propanediol, hydrolyzed collagen, caprylyl glycol, illicium verum (anise) fruit extract, hydrolyzed elastin, disodium edta, fragrance. Avocado: Water, glycerin, butylene glycol, mineral oil, macadamia ternifolia seed oil, allantoin, panthenol, polysorbate 80, xanthan gum, sorbitan sesquioleate, chlorphenesin, carbomer, dimethicone, phenoxyethanol, tromethamine, persea gratissima (avocado) fruit extract, 1,2-hexanediol, propanediol, fragrance, prunus armeniaca (apricot) fruit extract, caprylyl glycol, illicium verum (anise) fruit extract, disodium edta, retinol palmitate, thiamine hcl, rivoflavin, niacin, carnitine HCL, pantothenic acid, biotin, folic acid, ascorbic acid, tocopherol. Tomato: Water, glycerin, glycereth-26, butylene glycol, peg/ppg-17/6 copolymer, bis-ethoxydiglycol succinate, panthenol, allantoin, peg-60 hydrogenated castor oil, chlorphenesin, carbomer, phenoxyethanol, tromethamine, solanum lycopersicum (tomato) fruit extract, 1,2-hexanediol, propanediol, hydroxyethylcellulose, honey extract, prunus persica (peach) fruit extract, caprylyl glycol, illicium verum (anise) fruit extract, disodium edta, fragrance. Tea Tree: Water, glycerin, butylene glycol, PEG/PPG -17/6 copolymer, glycereth-26, panthenol, bis-ethoxydiglycol succinate, allantoin, PEG -60 hydrogenated castor oil chlorphenesin, carbomer, phenoxyethanol, tromethamine, melaleuca alternifolia (tea tree) leaf extract, 1,2hexanediol, propanediol, hydroxyethylcellulose, musa sapientum (banana) fruit extract, portulaca oleracea extract, capryltl glycol, illicium, verum (anise) fruit extract, disodium edta, melealeuca alternifolia (tea tree) leaf oil. Seaweeds: Water, glycerin, butylene glycol, PEG/PPG -17/6 copolymer, panthenol, PEG -60 hydrogenated castor oil chlorphenesin, xanthan gum, phenoxyethanol, fucus vesiculosus extract, phenyl trimethicone, carbomer, 1,2-hexanediol, propanediol, tromethamine, pyrus malus (apple) fruit extract, glacier water, dipotassium glycymhizate, caprylyl glycol, illicium verum (anise) fruit extract, alantoin disodium edta, fragrance. Rice: Water, glycerin, mineral oil, butylene glycol, allantoin, polysorbate 80, sorbitan sesquioleate, chlorphenesin, carbomer, xanthan gum, sodium hyaluronate, dimethicone, phenoxyethanol, tromethamine, oryza sativa (rice) extract, 1,2-hexanediol, propanediol, fragrance, dipotassium glycymhizate, caprylyl glycol, llicium verum (anise) fruit extract, disodium edta, snail secretion filerate. Red Wine: Water, glycerin, butylene glycol, PEG/PPG-17/6 copolymer, panthenol, PEG-60 hydrogenated castor oil, chlorphenesin, phenoxyethanol, xanthan gum, phenyl trimethicone, wine extract, carbomer, 1,2-hexanediol, propanediol, tromethamine, camellia japonica flower extract, chrysanthellum indicum extract, camellia sinensis leaf extract, melissa officinalis leaf extract, rosmarinus officinalis (rosemary) leaf extract, aspalathus linearis leaf extract, thymus vulgaris flower/leaf extract, jasminum officinale (jasmine) flower water, dipotassium glycyrrizate, caprylyl-glycol, illicium verum (anise) fruit extract, allantoin, disodium edta, fragrance. Aloe: Water, glycerin, butylene glycol, PEG/PPG-17/6 copolymer, glycereth-26, panthenol, bis-ethoxydiglycol succinate, allantoin, PEG-60 hydrogenated castor oil, chlorphenesin, carbomer, phenoxyethanol, tromethamine, aloe barbadensis leaf extract, 1,2-hexanediol, propanediol, hydroxyethylcellulose, sodium hyaluronate, caprylyl glycol, illicium verum (anise) fruit extract, phyllostachis bambusoides juice, disodium edta, fragrance. Broccoli: Water, glycerin, butylene glycol, PEG/PPG-17/6 copolymer, panthenol, PEG-60 hydrogenated castor oil chlorphenesin, xanthan gum, phenoxyethanol, phenyl trimethicone, brassica oleracea italica (broccoli) extract, carbomer, 1-2—hexanediol, propanediol, tromethanmine, brassica oleracea capitata (cabbage) leaf extract, olea europaea (olive) leaf extract, dipotassium glycyrrhizate, capryly glycol, illicium verum (anise) fruit extract, allantoin, disodium edta, fragrance, ascorbic acid. Makgeolli: Waer, glycerin, mineral oil, butylene glycol, allantoin, polysorbate 80, sorbitan sesquioleate, chlorphenesin, carbomer, xanthan gum, dimethicone, phenoxyethanol, tromethamine, aspergillus/rice ferment extract, 1,2-hexanediol, propanediol, galactomyces ferment filtrate, fragrance, dipotassium glycyrrizate, caprylyl glycol, illicium verum (anise) fruit extract, saccharomyces/xylinum/black tea ferment, disodium edta.